Akira Tachibana is a reserved high school student who was the star of the track and field team but had to quit when she got injured. 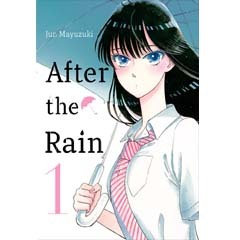 Sidelined and depressed, Akira stops in at a family restaurant one rainy day, and after the manager—a 45-year-old man with a young son—serves her free coffee, she is smitten, and soon takes a part-time job at the restaurant. Despite the age gap, Akira is drawn to his kind nature, and little by little, the two begin to understand each other. One day, she decides to finally tell her manager how she feels… but how will he react?